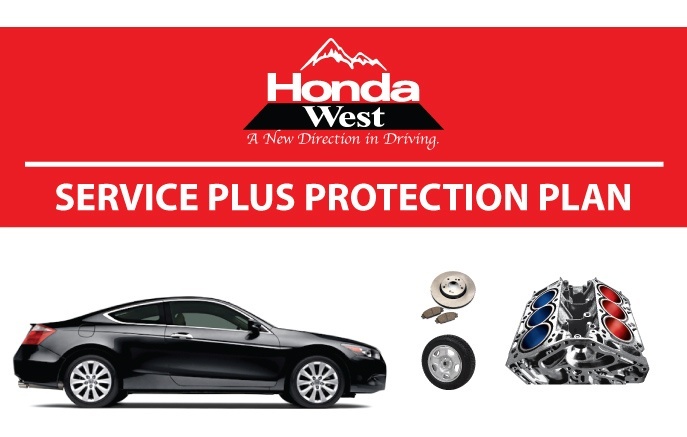 Honda West Service Plus Protection Plan. 90 DAYS OR 6,000KMS (Whichever Occurs First) Guarantee. All internal lubricated components or parts, cylinder head(s), balance shafts, timing chain/belt and covers, pulleys, guides and tensioners, oil pump, intake and exhaust manifolds, engine mounts, cylinders, diesel engine, vacuum pump, valve covers and rotor housing. All internally lubricated parts, flywheel, transmission mounts, transmission case and transfer case. All internally lubricated parts, flex plate, vacuum modulator, transmission mounts, torque converter (internal parts only), transmission case and transfer case. All internal parts, drive shafts, axle bearings, drive axles, stub axles, tripod joints, universal joints, CV joints and boots, drive axle housing. Fluid and oils as required as part of mechanical breakdown.